We’ve been frequenting Addison and Steele since they opened enamoured with their excellent coffee, bagel based meals and clinically sleek decor. Since we last visited they’ve expanded their food options and we were keen to try more! As always we started with coffee. We loved the way the barista was able to bring out the flavours as if it had been brewed like a filter, even though it was espresso. We tried a second and were equally impressed. 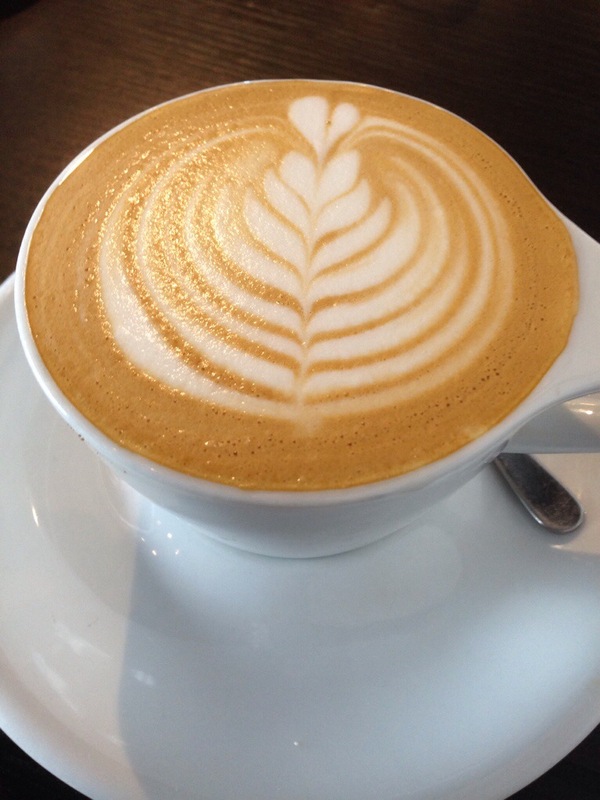 It’s no surprise Addison and Steele’s specialty coffee passes the Second Coffee Test! Our first dish was still bagel related, but something we hadn’t tried before. 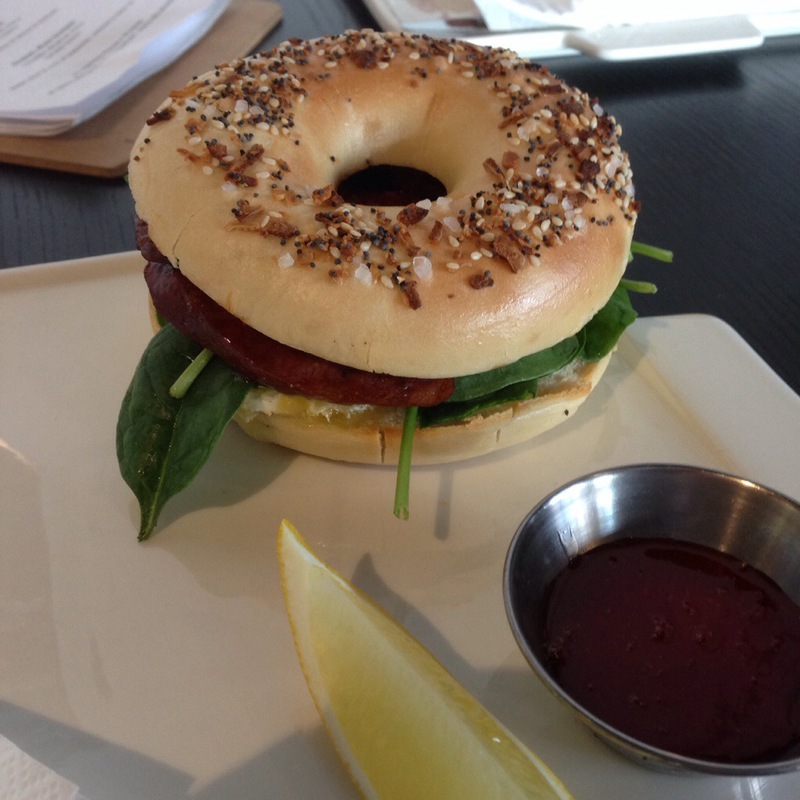 For $13.50 we got a bagel with chorizo, Brie, lemon and salad with a chilli jam on the side. The chorizo was great with a nice bite to it, and the lemon added a bit of zing to the salad. The Brie added a creamy element without much flavour. This was a nice dish, a bit of a crossover meal between breakfast and lunch, and was light enough to leave you feeling satisfied but not overfilled. If you’ve been to Subiaco Farmers Market on a Saturday morning you should be familiar with Mr Drummond’s Food, the food stall of Wade, a former Masterchef contestant that specialises in crumpets. 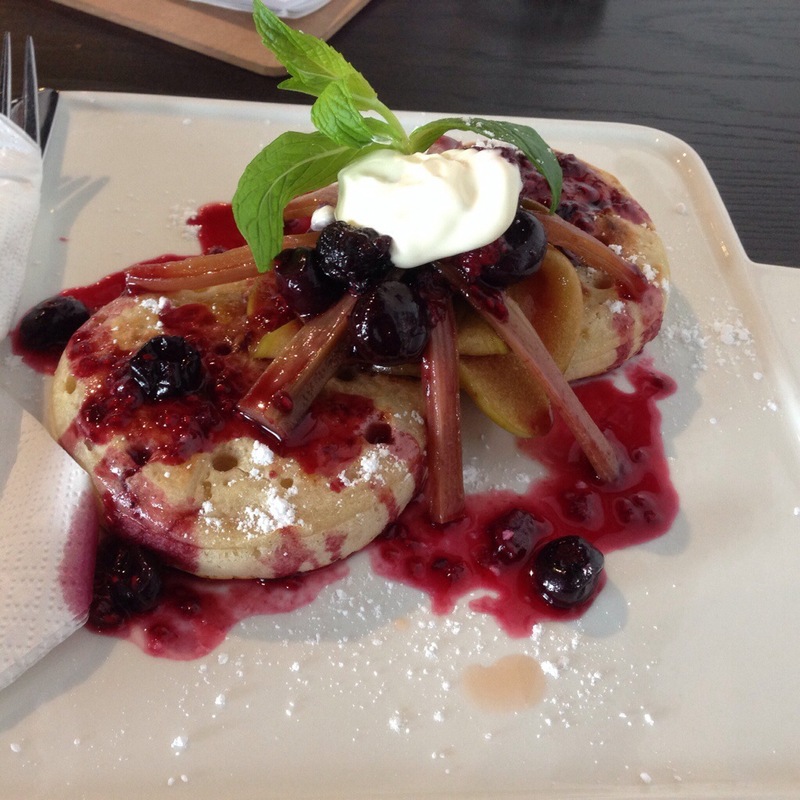 You’ll find Wases crumpets available with caramelized fruit for $12.50. The crumpets were good, light with a nice flavour and the coulis added a tart element to the dish. The fruit was all interestingly cut and presented and tasted nice but the dish needed a bit more of the creme fraiche to balance it all out. Addison and Steele continue to impress with their coffee and light meal options. We look forward to what they’ll come up with in future! Be sure to hit the follow button to keep up to date with the latest foodie goodness! You can now find me on instagram and Facebook! Twenty something, writer, foodie, gamer, pop culture nerd, prolific doodler, cat person, french toast addict, caffeine junkie, donut binger and breakfast fiend.